|01 February, 2017 | DEKRA announces the expansion of capabilities in its Bluetooth Qualification Testing Facilities (BQTFs), after adding Bluetooth 5 to its scope. On December 6th 2016 Bluetooth SIG adopted Bluetooth 5 specification. 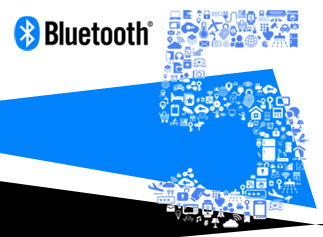 With the launch of Bluetooth 5, Bluetooth® technology continues to evolve to meet the needs of the industry as the global wireless standard for simple, secure connectivity. With 4x range, 2x speed and 8x broadcasting message capacity, the enhancements of Bluetooth 5 focus on increasing the functionality of the Bluetooth technology for the IoT market needs. DEKRA is ready now for the qualification of any new Bluetooth 5 products. Testing capability for Bluetooth 5 is already available at TACS4 BEST test system, which has been developed by DEKRA and is already recognized by the Bluetooth SIG as Validated Test System for RF (Basic Rate & EDR), RF-PHY (Bluetooth low energy) and BB (Baseband) covering all current versions of Bluetooth technology (up to 4.2). With a total control of the test platform, DEKRA is offering not only testing for Qualification, but also debugging tests which can be customized upon manufacturer’s requirements. “By adding TACS4 BEST Bluetooth 5 capabilities, DEKRA increases its already wide Bluetooth testing capabilities in Europe and Asia with new state of the art test systems and reinforces our company’s commitment to provide our customers with leading Quality of Service and short time to market”, said Jose de la Plaza, Global Service Manager Telecom at DEKRA Product Testing and Certification SU (formerly AT4 wireless). AT4 wireless provides a complete services offer for Bluetooth devices and true one-stop services for Bluetooth wireless technology covering all the versions of the technology and all related services needed (BQE, BQTF, Regulatory, International Type Approval, etc).